Paying attention to a custom cable assembly manufacturer’s certifications is essential in today’s marketplace. If you’ve recently been on the website of a cable assembly manufacturer, you have almost certainly noticed certifications listed in a prominent location. With so many options when it comes to certifications, it can be difficult to know what is important and, above all, reputable when reviewing manufacturers. Obviously, different types of manufacturers should have certifications that are most applicable to their industries and products. There are many of these certifications that are nice to have, but not absolutely necessary, and you should evaluate these with your project and equipment needs in mind. However, if you are working with a cable assembly manufacturer, there are certifications from two organizations that are worth paying closer attention to. The International Organization for Standardization is recognized around the world as an independent source of best practices for a wide range of industries. Seeing an ISO accreditation on a cable assembly manufacturer’s website signals that they are a credible organization that is committed to creating safe products of high quality. In an industry where product failure can be life-threatening, it’s vital you work with a manufacturer that takes your concerns about safety seriously. If you don’t see any mention of an ISO certification, it’s worth having a discussion about why not. 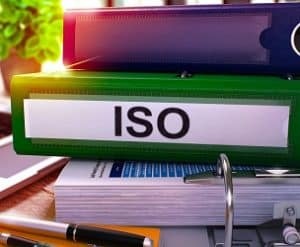 There are also many types of ISO certifications, so it can be valuable to familiarize yourself with any specific accreditations you see. You may be more familiar with UL from the stamp that appears on products like light bulbs and lamps that are meant to function using electricity. UL ratings like these can help consumers determine in what types of conditions the product is meant to perform. This can also be the case for custom cable assemblies. Like ISO, UL can be focused on ensuring the quality and safety of the end product. However, UL also offers certification of the manufacturing process to make sure a company is able to to produce safe products that meet standards. ISO and UL are well-known and offer certifications for a wide range of industries, processes, and products, but they aren’t the only options. If you see certifications you are unfamiliar with, don’t hesitate to ask about them. The team at your cable assembly manufacturer should be ready to discuss their reasonings behind pursuing specific accreditations. There are also industry-specific options (like AS9100 for aerospace) that may be appropriate for your project. Always make sure you follow up any questions you ask the manufacturer by doing your own research. Certifications can be extremely valuable when you are evaluating a cable assembly manufacturer. They not only show a dedication to producing safe products and working environments, but also demonstrate a dedication to staying at the top of industry best practices by maintaining standards that are continually updated. With a little knowledge, you can use this information to make the best choice. When you are ready to talk about your next project, the Meridian Cable is happy to answer all your questions. Get in touch with us, today!